Plotting while measuring saves time and make the drawing accurate with no ambiguities. 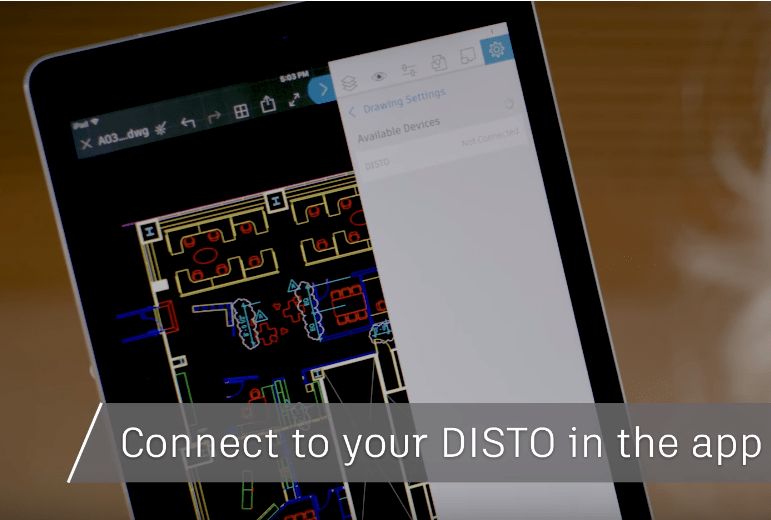 Creating accurate drawings is painless with a Bluetooth enabled DISTO device. 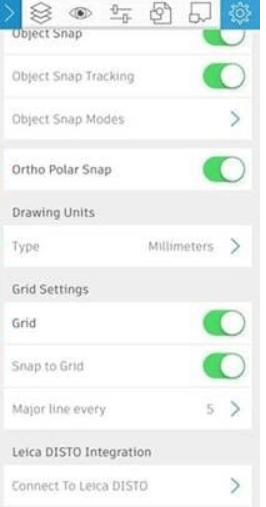 If you paired the Distometer with AutoCAD mobile app, the Plotting can be done simultaneously. First turn on Bluetooth in both devices and pair them. See the image below. After tapping on “Connect to Leica DISTO”, make sure your Leica DISTO device is turned on, and that the Bluetooth of your mobile device or IPAD is also turned on. The laser icon on the top bar will be displayed in green to indicate a successful connection. Simply create a line in your drawing, take a measurement with a DISTO, and the length will update automatically. It’s the quickest way to cut your drafting time in half.